Your wedding guests are celebrating your marriage. They are your lifelong friends, your family, your out of town guests. These are the people that have been with you through thick and thin, through the hard times and good, and now they are here for the most special day of your life. 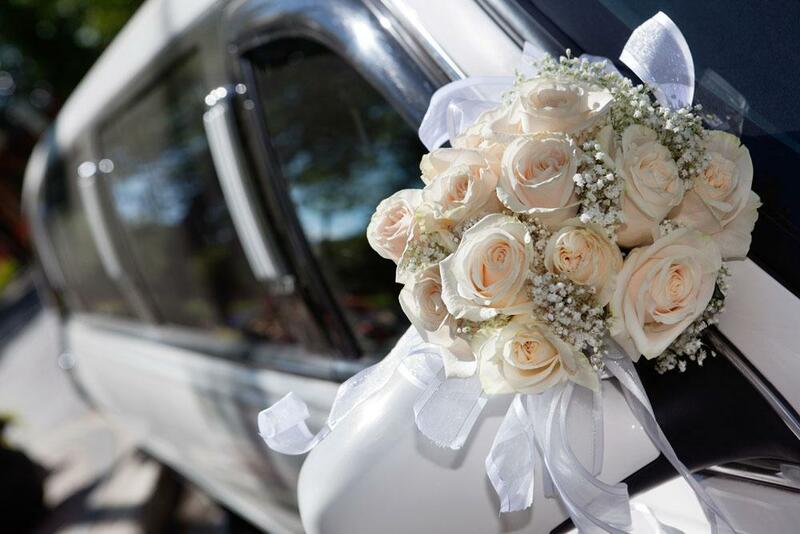 What better way to thank them for supporting you on your wedding than providing wedding shuttle service! We have multiple party buses that you can rent for your wedding. Most of the time, you can get away with renting one or two, and shuttling multiple guests back and forth to your wedding venue and reception hall. The best part of our wedding shuttle service is that you don’t have to worry one bit about driving! We are your chauffeurs for the special occasion, so you can have a few adult beverages, dance and drink with your besties, and we take care of the heavy lifting. Our Party Buses can fit up to 32 passengers, and the ride that we provide is smooth as silk. We even provide bottled water, sodas, ice, and you can bring your beverages of choice. Forget hiring Lyft or Uber, we are dependable, our vehicles are clean, and our chauffeurs are expertly customer service oriented. We break out the red carpet and white gloves treatment for you in every way, shape or form possible. Whether you have just a few guests, or you are throwing a 500 person wedding, we can help you with the transportation from our limos to our party buses. Our owner Erik gets behind the wheel and helps out, making him the coolest owner/operator in Southeast Michigan! Rockstarz Limousine & Party Bus has a long running history of providing fantastic service for our clients. This started with our very first wedding back in 2007. We remember the day fondly as we were brand new in the limo and party bus business, and making sure that every one of our guests was treated like royalty. We still give that same level of service every single time we hop behind the wheel of one of our limos or party buses for a wedding or any other kind of service. Your wedding guests are very important to us. We want to make sure that they have the best experience possible celebrating the happy couple. For more information on wedding shuttle guest service in Southeast Michigan, including Ann Arbor, Royal Oak, Livonia, Novi, Plymouth, South Lyon, Rochester Hills, and everywhere in between, give us a call today at 734-386-6912. We are excited to be able to serve you!